This website provides assistance with all things a start-up must consider with regards to legalities and registration, as well support with areas such as business planning and market research. Great Business Diagnostic Tool: A Business Support diagnostic tool, to assist businesses in finding the appropriate help and guidance. 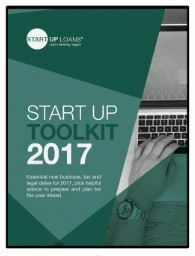 There is a host of useful information within the ‘Start-up toolkit’ provided by Start-up Loans. The full scheme, enables organisations to gain 1 of 2 new Cyber Essentials badges. It is backed by industry including the Federation of Small Businesses, the CBI and a number of insurance organisations which are offering incentives for businesses. The Cyber Essentials Requirements document sets out the necessary technical controls. The Assurance Framework shows how the independent assurance process works and the different levels of assessment organisations can apply for to achieve the badges. It also contains guidance for security professionals carrying out the assessments. From 1 October 2014, government requires all suppliers bidding for certain sensitive and personal information handling contracts to be certified against the Cyber Essentials scheme.